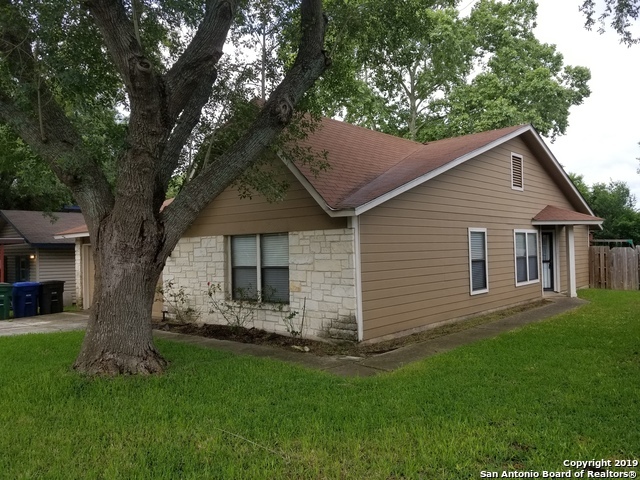 All OAK GROVE homes currently listed for sale in San Antonio as of 04/20/2019 are shown below. You can change the search criteria at any time by pressing the 'Change Search' button below. "Return to the simple life. Enjoy the small town lifestyle in a four sided brick house setting on one acre corner lot with 2 car garage and RV/Bus carport with 30 amp elec. connection. Elegant black grid iron fence in backyard. Mature Oak trees. No HOA. Minutes from Gruene." "Beautiful home with recent upgrades. Granite counter tops. Roof approx. 2 years old. Custom wood blinds. Laminate floor downstairs and in one upstairs bedroom. New carpet upstairs. Newly painted inside and out. Recently updated master bath. Pool resurfaced 1 year ago. New Pool Pump (3/2019). Master closet with customized organizer." 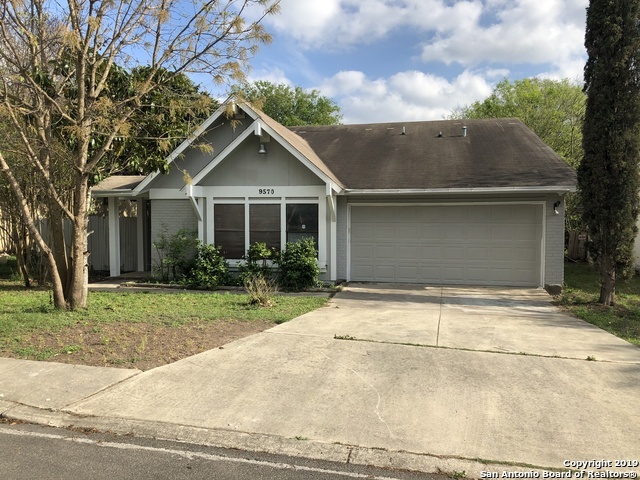 "***OPEN HOUSE SATURDAY April 20th 1-5pm** PLEASE SUBMIT HIGHEST AND BEST OFFER BY 4-20-19 at 7pm, all offers will be presented to seller at 9pm on 4-20-19 Roof, Gutters and Vinyl 2015, AC 2017, Water Heater 2016. Large covered patio 16x25 great for outside BBQ time, Shed with loft 8x10. 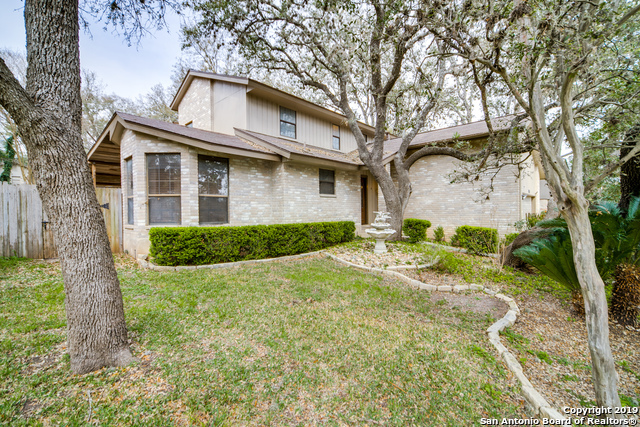 Quiet neighborhood close to Loop 1604, easy access to The Rim, La Cantera, Sea World. NO HOA 4 bedroom with large open living room area-great for entertaining." "Open floor plan! Very open Kitchen with 8x5 walk-in pantry, open to the dining and living room with a beautiful rock fireplace!! Newer Ceramic title throughout with wood floor look and feel! Plush carpet in master and large open secondary bedrooms. Inviting master bath with large walk in shower with separate garden tub. Master also has his and her walk-in closets! Backyard also features a patio as well as a finished Shed with power and ceramic tile flooring. Home is on Greenbelt and no neighbor"